Lebanese PM designate Najib Mikati has reportedly described Hezbollah in a January 12, 2008 as “cancerous” and called for ending the state within the state that the party has built to allegedly safeguard Lebanon. Mikati also reportedly called for better U.S. ties with Lebanon and Syria to “contain” Hezbollah, warning that the main objective of the Shiite party was to form an Iranian military base on the Mediterranean. The dream of Grand Ayatollah Sayyed Ruhollah Khomeini of exporting the Iranian revolution needed a “launch pad” which is Lebanon, he said. Achieving this objective requires a lot of time but Hezbollah is “patient,” he added. Asked by Sison if he thought peace with Israel would contain such intentions, Mikati said that peace would lead to a “happy ending,” but wondered whether Syria would engage in talks with the Jewish state without a green light from Iran. Mikati also unveiled that there was no major support by the Lebanese army leadership and former Maronite Patriarch Nasrallah Sfeir to President Michel Suleiman’s presidency , saying “Sfeir is not in love with” him. “The Lebanese Armed Forces sympathize with the March 8 forces at a time when most officers back Hezbollah and (FPM leader) Gen. Michel Aoun,” Mikati reportedly told Sison, according to the cable. Aoun was already allied with Hezbollah in 2008 but in a WikiLeaks cable from Paris dated May 4, 2005 he described several parties in Lebanon as corrupt “mercenaries” who are after power and have no credibility. Aoun said that his only ambition behind his return to Lebanon from a 15-year exile was to bring back democracy to the country. Aoun also revealed that his efforts to reach agreement with PSP leader Walid Jumblatt, the Hariri family and traditional Christian leaderships failed. They are “mercenaries,” he said. About Hezbollah, Aoun said the Shiite party enjoys “some type of popular support” and so far is not corrupt. For such reasons, the MP said he could cooperate with the group to encourage it into handing over its weapons to the Lebanese army and becoming a political party. Aoun reportedly bragged of being the only opposition leader directly supporting U.N. Security Council resolution 1559. Ever since Aoun signed an agreement with Hezbollah has become an opponent of 1559. In another cable dated April 29, 2005, Aoun expressed concern that he would be used by the Syrians or those backing the Assad regime. In a third cable dated March 31, 2005 Aoun was quoted as saying that the collapse of the Syrian regime is “inevitable ” adding that the security institutions in Lebanon should be restructured because they are a copycat of Syrian apparatuses. 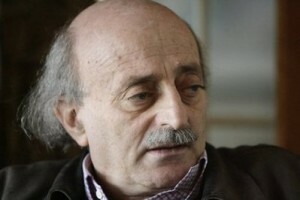 The U.S. embassy noted in the cable that Jumblatt was most probably frustrated because he had previously said that former PM Rafik Hariri used to give him 3 million dollars per year . About the Shiites in general , the PSP chief expressed concern that the Shiite sect was losing its Lebanese and Arab identity and becoming more Persian. All the above 3 leaders are currently allied with Hezbollah and Syria. The The Iranian and Syrian -backed Hezbollah brought down PM Saad Hariri’s government on January 12 over the Special Tribunal for Lebanon’s (STL) imminent indictment which is widely expected to implicate Hezbollah members in the assassination of former PM Rafik Hariri in 2005. Mikati was appointed in January as the PM designate with the backing of the Hezbollah-led March 8 alliance , MPs Walid Jumblatt and Mohammad Safadi . 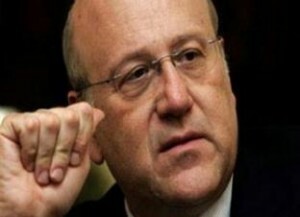 March 14 leaders have repeatedly stated that intimidation from Hezbollah’s weapons helped secure the parliamentary majority for Mikati’s nomination. March 8 is now claiming the parliament majority . 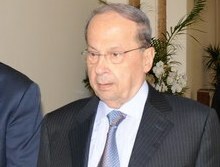 According to observers , up until now Hezbollah has been hiding behind FPM leader Michel Aoun in creating obstacles for Mikati . That just ruined my day. I’m happy I found out more truth behind some questions that I thought I’d never figure out bas 3anjad tfoo. Anyone who likes any Lebanese politician; Christian, Muslim, Druze…afar, akhdar, laymooneh..mustache, bearded, clean shaven..please, by all means, get a reality check. These people won’t turn themselves in or stop this crap unless we stop letting them. Let’s think for ourselves. If this doesn’t prove anything, then I don’t know what will. Maybe I’ll write a book for you guys to read. Perhaps a peaceful popular uprising against the sectarian system? I would be the first to protest in the streets of Beirut for that. Whoever is reading this thread, I have nothing to do with Crossed. I want to go in and out of the airport safely next week. One day, though, Crossed, I think it’d be cool to see such a thing . Written By the new face of Lebanon, ( Author and Karremthehippy). Wouldn’t nice if we can revolutionized Lebanon once for all. @youyes4u We should call it : Lebanon’s Idiots Before and Now … or Lebanon, Heaven’s Mirage Trapped in Hell’s Reality .. I have nothing good to say. Lebanon needs a complete overhaul in politics, and a new system. It’s obvious this system does not work. All it leads to is one weak government after the next. A true majority government should implement some changes such as abolishment of the sectarian desginated posts. I also call for a stronger role for the president and a slightly weakened prime minister. the PM and president should be closer to parity in terms of power. i cannot agree more with the sentiments expressed here that we need an overhaul of all political figures in lebanon. but really, you cannot criticise the system when these politicans have twisted and interpreted this sytem according to their whims rather then the way it shoudl be interpreted. we cannot crriticise al taif accord when we haven’t seen it implemented fully and accordingly. it was convincenly chosen to be ignored. you are talking about overhaul! how about secularism where we are all under the law of the land. that is the only way to have a strong goverment where we are all equal no matter our religion. i like to hear from the maronites about this point????!!!!!!!!!!!! You’re right when you say we should all be equal no matter what religon. So why not abolish sectarian posts from the government? A Maronite for example could then be a Prime Minister, or a Shii’te the president. Or even both be Sunni. We have been trying this system for so long and it worked great from the 50s to the early 70s when Lebanon was booming (economically). But that also depends on who you ask because at the time Shii’tes were discriminated against. Since then it has been one war after the next, and one weak government after the next. If we have a secular country that holds onto its religious values such as Mother Mary day, I think we can truly all be equal regardless of religion. Edit: Sorry I wrote this reply because I misread the word secularism for sectarianism. why choose another system when we have not yet fully implemented the first one. a secular system is fine and perhaps what’s needed in lebanon but i do not think the lebanese pple are ready for it yet…the sense of “common patritosm” is what’s needed in lebanon….i wrote common because each and every one of the parties in lebanon today can claim they are patriotic. the minorities will always fear the majority…that’s pretty much sums our chagrin. besides even if we set up a secular system, the lebanese will abuse it in the same manner they abused other systems. Well even if the Lebanese “aren’t ready” for secularism, they can adapt. The only sense of minority and majority will be social, not political so no one sect would feel threatened by the state. I think we have implemented our current system fully. We’ve had it for almost 70 years, that’s enough time to see how well it is. And it’s true, a secular democracy is still exploitable like you said, but so is every kind of governmental system. The fact that Lebanon means different things to different Lebanese is a problem. I think this is a direct result of the sectarian system. Instead of one Lebanon, we have a Sunni Lebanon, a Shii’te Lebanon, and a Christian Lebanon. If you remove the sects, you’re left with just a Lebanon. I don’t agree with that. You’re right when you say we should all be equal no matter what religon. So why not abolish sectarian posts from the government? A Maronite for example could then be a Prime Minister, or a Shii’te the president. Or even both be Sunni. We have been trying this system for so long and it worked great from the 50s to the early 70s when Lebanon was booming (economically). But that also depends who you ask because at the time Shii’tes were discriminated against. If we have a secular country that holds onto its religous values such as Mother Mary day, I think we can truly all be equal regardless of religon. a secular system is fine and perhaps what’s needed in lebanon but i do not think the lebanese pple are ready for it yet…the minorities will always fear the majority…that’s pretty much sums our chagrin. Wikleaks asserted my thinking all along that Aoun and HA are the only true Lebanese. The rest are corrupt. I second that LOUDLY… THEY ARE ALL CORRUPT! Without any doubt,yes THEY ARE ALL CORRUPT,a replacement of all lebanese politians is urgently needed to save Lebanon.Kick them all out. LET A NEW BREED OF LEBANESE GENERATION TAKE OVER AND GOVERN AND ELEVATE THE STATE OF LEBANON TO A NEW DEMOCRATIC LEVEL,AND REPLACE LEBANON ON THE WORLD MAP ONCE AGAIN AS A RESPECTED NATION . We really should have closed the airports when they went to Doha…..
it would have been helpful if we knew that these wikileaks are transmitting this piece of news from primary/secondary or third party sources… then we will know how credible they are. as for Aoun, well….. he is not so different from mikati really….stepping on anyone standing in the way to get to presidency. but mikati is correct hizbollah is a cancer indeed and syria needs irani permission to do many things. They should put all our leaders in the LAF’s pre dated Hawker Hunters and send them to the syrian desert for a highly classified meeting…..and then nuke the joint! you are talking about building a country? what kind of a coutry can we build? i didn’t hear anybody talk about us living and dying under a religious dictat! the only way to build a country and a strong government is by abolishing the rule of religions and forbid the patriarch and the muftis from meddling in politics! I like to hear from the Hizbos about this point also? ?how about we are all under the law of the land? hizbos are a religious party just like l.f. , kataeb, aounist etc………., we can’t change anything until we join hands and CHANGE the defacto situation. You cannot be half pregnant. you are either a secular or not. Hahaha……she answers her own posts,how pathetic is this….go figure….too many aliases….too many usernames,same person,just to sabotage this website because it doesn’t support her people and their destructive agenda against lebanon and its citizens.wow they were discriminated against, please tell us how?. i think we have gone thru many wars since the mid1800 to keep on trying to implement a system that doesn’t work and will not work, simply because we put religion before country. Einstein once said : it is foolish to keep repeating the same thing and expect different results. why are we afraid to immerse ourselves in the soul of our country under a strong government that guaranties that all rights and EQUALITY are respected under THE LAW. It behooves me to think that some lebanese sects are afraid of melting in the fabric of society! we can’t say we love lebanon and hate some lebanese, we can’t say we are more advanced and the rest are retards! why not work together to create a country that respects all cultures and religions as long as it is between ourselves and our maker. i have heard a lot of people saying the same things that you have so elequently stated( secular is fine but the lebanese ARE NOT ready for it) i sure am are you? i am definetly ready for it but because i live overseas. ye3ni i have seen secular system in action with non lebanese hands. although i have some questions about it but it is something that can bring better alternative to the lebanese. but for the lebanese who are still living in lebanon and have seen no other system…i doubt they are ready for it. let’s put our hands together no matter where we belong politically (right,left,14,8) because doing so will save the country above any factional short end benefit to our sects. I DON’T THINK THE PROBLEMS OF LEBANON LIE WITHIN A PARTICULAR SYSTEM THAT DOESN’T WORK OR WITHIN ANY FUTURE SUBSTITUTE SYSTEM AS YOU MENTION IT AS MUCH AS WITHIN THE LEBANESE “LEADERS” THEMSELVES. WHILE MOST OF THEM KNOW WHAT IS THE RIGHT WAY TO SAVE THEIR COUNTRY EVEN WITHIN THE CURRENT SYSTEM, SOME OF THEM ARE AFRAID TO GO ALL THE WAY TO ACHIEVE THEIR GOALS, WHILE OTHERS DON’T WANT TO FACE THIS PROSPECT FOR FEAR OF CHANGE OR SIMPLY FOR BECOMING ON THE WRONG LOOSING SIDE. BETTER JUDGMENT ON OUR POLITICAL “LEADERS”. 1- THE LEBANESE “LEADERS” ACROSS THE BOARD SOMEHOW FEEL MORE CONFIDENT TELLING ALL THE TRUTH TO OUTSIDERS LIKE THE AMERICAN AMBASSADOR OR OTHERS RATHER THAN DOING IT AMONG THEMSELVES. 2- BOTH THE 8TH AND 14TH OF MARCH “LEADERS” EXCEPT HEZBALLAH ARE TELLING COVERTLY THE TRUTH ABOUT THE REAL PROBLEMS IN LEBANON, ACCURATELY DESCRIBING WHAT THEY ARE AND AMAZINGLY ENOUGH THE APPROPRIATE SOLUTIONS TO SOLVE THOSE PROBLEMS NO MATTER HOW PAINFUL THE SOLUTIONS ARE. 3- THE 14TH OF MARCH “LEADERS” INCLUDING AOUN JUMBLATT AND MIKATI, BEFORE THEY SWITCH, ARE THE ONES THAT WERE THE CLOSEST TO SAYING THE TRUTH IF WE COMPARE THEIR COVERT STATEMENTS AS REPORTED IN WIKILEAKS CABLES TO THEIR OVERT ADOPTED POLITICAL STAND. EVENTHOUGH THEY WERE AND ARE STILL AFFRAID TO VOICE OUT LOUD AND CLEARLY THEIR OPPOSITION TO HEZBALLAH SYRIA AND IRAN AS THEY DO IT IN PRIVATE. 4- MOST OF THE 8TH OF MARCH “LEADERS” ARE THE ONES THAT ARE THE FARTHEST FROM SAYING THE TRUTH SINCE THEIR OVERT STATEMENTS TOTALLY CONTRADICT THE COVERT STATEMENTS AS REPORTED BY THE AMERICAN OFFICIALS. 5- LET US HOPE SOMEDAY WE WILL FIND THE SYRIAN AND IRANIAN EQUIVALENT VERSIONS OF WIKILEAKS TO HAVE A GLIMPSE OF THE DEALS GOING ON BETWEEN THE SYRIAN AND IRANIAN EMBASSIES AND THE LEBANESE “LEADERS”. i think we have gone thru many wars since the mid1800 to keep on trying to implement a system that doesn’t work and will not work, simply because we put religion before country. Einstein once said : it is foolish to keep repeting the same thing and expect different results. why are we afraid to immerse ourselves in the soul of our country under a strong government that guaranties that all rights and EQUALITY are respected under THE LAW. It behooves me to think that some lebanese sects are afraid of melting in the fabric of society! its good in theory, but wouldn’t work in Lebanon….We have certain elements in the country that have foreign and radical agendas…regardless of what system is in place as long as these elements exist they will hijack any progress. I also have to disagree about the whole religion based bias. It doesnt matter what religion you are so long as you are for Lebanon first, democracy, freedom, and justice…In Lebanon both main elements of government (M14 and M8) have various leaders of different religions in both camps..Its the direction of the country that concerns most Lebanese and not what religious sect one belongs too, the message speaks louder than any religion…One government, One army, One people for Justice! Is there democracy, freedom and justice under a mighty secterian,feudal and religious form of government? who are you fooling? DEFINITLY NOT ME! you’re damn right!!! it is not a lebanese system problem at least for the immediate future, it is rather a lebanese “leaders” problem. some lebanese “leaders ” lost completely the sense of what is right and what is wrong for themselves and for their country and some other sneaky and dangerous lebanese and non lebanese “leaders”” are secretly jubilating and prospering while gradually turning the country into their own mafia quarters under all kinds of excuses and false ideologies brought on the surface for popular consumption and would love to see the country remain as is in a chaotic situation without any strong army or government wether you change the current system or not. I DON’T THINK THE PROBLEMS OF LEBANON LIE WITHIN THE SYSTEM THAT DOESN’T WORK AS YOU MENTION IT AS MUCH AS WITHIN THE LEBANESE “LEADERS” THEMSELVES. WHILE MOST OF THEM KNOW WHAT IS THE RIGHT WAY TO SAVE THEIR COUNTRY, SOME OF THEM ARE AFRAID TO GO ALL THE WAY TO ACHIEVE THEIR GOALS, WHILE OTHERS DON’T WANT TO FACE THIS PROSPECT FOR FEAR OF CHANGE OR SIMPLY FOR BECOMING ON THE WRONG LOOSING SIDE. BETTER JUDGMENT ON OUR POLITICAL LEADERS. 2- BOTH THE 8TH AND 14TH OF MARCH “LEADERS” COVERTLY ARE TELLING THE TRUTH ABOUT THE REAL PROBLEMS IN LEBANON, ACCURATELY DESCRIBING WHAT THEY ARE AND AMAZINGLY ENOUGH THE APPROPRIATE SOLUTIONS TO SOLVE THOSE PROBLEMS NO MATTER HOW PAINFUL THE SOLUTIONS ARE. 4- MOST OF THE 8TH OF MARCH “LEADERS” ARE THE ONES THAT ARE THE FARTHEST FROM SAYING THE TRUTH SINCE THEIR OVERT STATEMENTS TOTALLY CONTRADICT THE COVERT STATEMENTS REPORTED BY THE AMERICAN OFFICIALS. 5- LET US HOPE SOMEDAY WE WILL HAVE THE SYRIAN AND IRANIAN VERSIONS OF WIKILEAKS TO HAVE A GLIMPSE OF THE DEALS GOING ON BETWEEN THE SYRIAN AND IRANIAN EMBASSIES AND THE LEBANESE OFFICIALS. A bad form of goverment produce bad leaders, religious form of government produce religious and secterian leaders. We can be talking forever about(8 and 14) without coming to a conclusion because neither one owns the truth a 100%. If you talk about hiaballah,syria and iran they talk about america , notre mere france israel etc… we don”t want to get to a (jadal aqueem) . whay are we lebanese to do? i would like to hear some more comment on that. i am sorry i don’t want to get in the minute details of (altayyarat wal2a7zab) because i find that will take our discussion nowhere. if LEBANON is who we want to save how do we do it????? you want a real solution for lebanon’s problems??? then try if you can to teach the lebanese what is wrong and what is right for them and for their country because a lot of them, due to long years of occupations and regional interferences,got their priorities messed up and reached a point where they cannot make this differentiation anymore on their own. Do we want to dwell on the problems or find a solution? We should propagate secularism as a answer to problems that have screwed us up as people and country .Do we want to keep a system that the colonialist put in place to divide and conquer or we want to move on to a better system that puts us all under the law? That is what the Lebanese have to choose! Obviously that does not solve all the problems we face. We still have a lot of issues that divide us some interior and some exterior but we cannot face them unless we are united under a strong government. All those leaders are the product of a corrupt system of government, because they ran for office to represent their religion than the people. so why are we expecting that much from them?none of them can deliver the goods!So if they know the way to save their country and they don’t then we have traitors!as to wikileaks i am not surprised at all. they have all been exposed (8 and 14), but guess what : they will all be elected again and they will be representing us with votes which we will gladly give them. So the answer lie with us.are we going to get together or not? i doubt that you will.